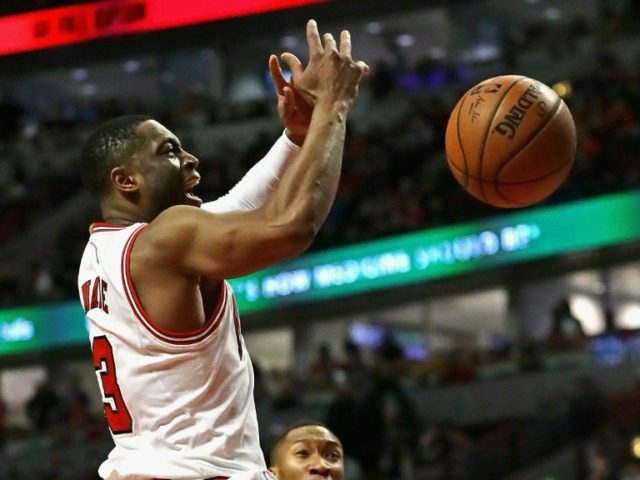 Chicago (AFP) – Dwyane Wade and the Chicago Bulls have agreed to part ways after the veteran point guards’ first season with his hometown team, the US media reported Sunday night. The 35-year-old Wade has reached a buyout agreement with the Bulls, according to American broadcaster ESPN. Wade, who has been hit by a series of injuries the past few seasons, was slated to make $23.8 million with the Bulls in 2017-18. Once he clears waivers, he can listen to offers from other teams. The Cleveland Cavaliers, Oklahoma City Thunder, San Antonio Spurs and his former Miami Heat team could all make a pitch for Wade. The Cavaliers are believed to be the frontrunners. Wade, who grew up on Chicago’s south side, averaged 18.3 points and 3.8 assists in 60 games for the Bulls last season. It was his lowest point totals since his 2003 rookie season.